My colleague Micah Blumenthal recently reminded me that TMI Project Workshop Leaders are like that beloved 1980’s cable ad about the Hair Club for Men: we are not just facilitators, we are also clients. We all have first-time true storytelling workshop experiences that got us hooked. In October 2016 I was embracing my new home in Kingston, but the sadnesses of my life had piled up inside me, and it was getting harder to carry them around. With only a vague idea of “making more time for writing,” I signed up for the free 10-week TMI Project true storytelling workshop at The Mental Health Association in Ulster County (MHA). It was a motley crew including TMI Project storytellers Morris Bassik, Beth Broun and Barbara Stemki. For weeks our workshop leaders Eva Tenuto and Sari Botton led us in timed writing exercises designed to help us bypass our “inner editors.” We read them out loud to each other, first tentatively and then boldly. There were stories about schizophrenia, multiple sclerosis, familial rejection, and other heartbreaks. I remember laughing a lot. Collectively we were a group who had earned the right to find humor in our scars. And so we did. When I began to unearth my own stories — of struggling with drugs, my relationship with my mother and my husband’s battle with cancer — they seemed to transmogrify from traumatic experiences that made me feel shame and sadness to open source content, the property of the universe and no longer mine to bear alone. Once tragic tales were like former toxic roommates, no longer hostile occupiers of my personal space. And lo and behold tragedy + time = comedy! I felt lighter. It was the beginning of a subtle and steady shift in my life. My co-workshop leader Dara Lurie and I are now midway through teaching our fourth workshop at MHA. It’s an important turning point for participants. Themes emerge like photographs in darkroom fluid. Participants begin to see the story they want to tell. By the end, it’s like we’ve been to sleepaway camp together. In 2016 I wasn’t focused on the issue TMI Project and MHA are addressing – destigmatizing mental illness through storytelling. I just wanted and needed to unload the million jumbled stories festering inside me; I definitely had my own ponderous chain. But when I settled in and looked around I realized that I was surrounded by a dazzling mix of people who are just like me. At the time of my first workshop, I didn’t “identify” as a person with mental illness, which is kind of funny because my entire adolescent and adult life have been defined by therapy, medication, suicidal ideation, and one hospitalization.I have since come to appreciate my propensities and even embrace them as a kind of low wattage superpower. I am bored a lot – at the gym, at work, grocery shopping, walking MishiMish, my special needs chihuahua — and I don’t need Mia Farrow judging me for that. But the two hours a week I spend around the big conference table under those unforgiving fluorescent lights at MHA are always a respite. Not for a moment am I even thinking about checking my phone. I am ALL IN. It’s that way for everybody. As others read our bodies are still, like monuments to active listening. We are rooting for each other as we tug and pull our stories from down deep. And together we turn all that raw material into something profound. We’re not bored because the stories are so damn good. There’s a reason that TMI Project true storytelling performances always culminate in an enthusiastic standing ovation. In the cafeteria of MHA with the tables pushed aside at two in the afternoon on a Thursday, the audience – and you – will laugh, cry, and experience more gratifying, cathartic, soul cleansing, rush of human connectedness and this-is-what-we’re-here-for-edness than at any hit Broadway show in the front orchestra seats. I’m going to go out on a limb and say it’s better than Hamilton. Did I mention that it’s free? 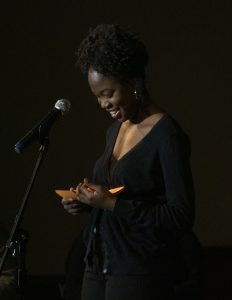 You can join me and TMI Project at the next True Storytelling Performance @ MHA on Thursday, May 9th. Join TMI Project for a live performance of radically candid true stories. 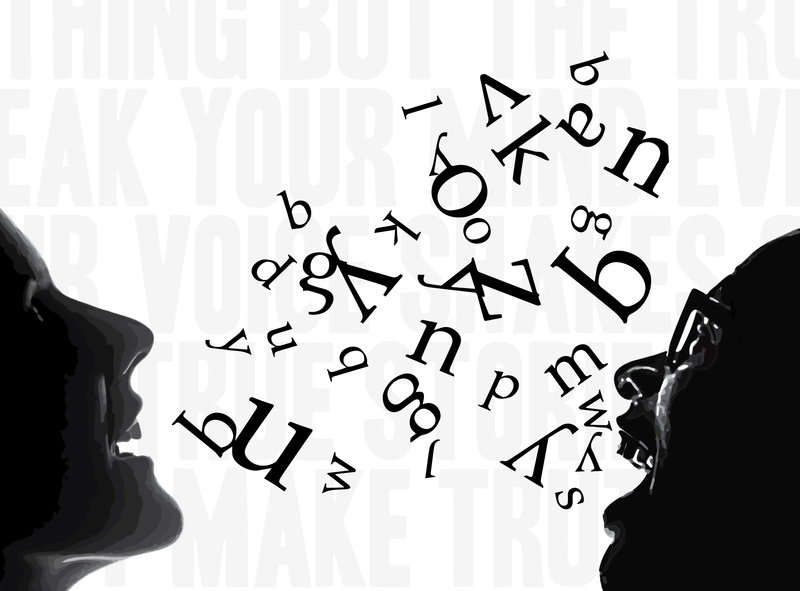 A cast of storytellers will share their true, personal perspectives uncovered through a TMI Project 10-week storytelling workshop presented in partnership with The Mental Health Association in Ulster County (MHA). Readers will share their recent writing based on epiphanies and personal revelations–stories that will inspire, sadden, madden, and enlighten you. The performance will be followed by a Q&A with the storytellers. The post The first-time TMI Project true storytelling workshop experience that got me hooked appeared first on TMI Project. 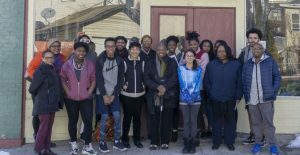 TMI Project’s Intergenerational Black Stories Matter Workshop took place on February 17th, a brisk, beautiful Sunday afternoon, at the A.J. Meyers-Williams African Roots Library in the historic Ponckhokie Kingston neighborhood. My co-facilitator, Micah Blumenthal, and I sat in the middle of the long table constructed of 3 or more tables placed end to end. Just as we were about to get started, Shawaine Davis, one of the Black Stories Matter Storytellers from Kingston High School arrived with several friends. In 2018, the original cast of Black Stories Matter, myself included, performed for all 2,000 Kingston High School students. 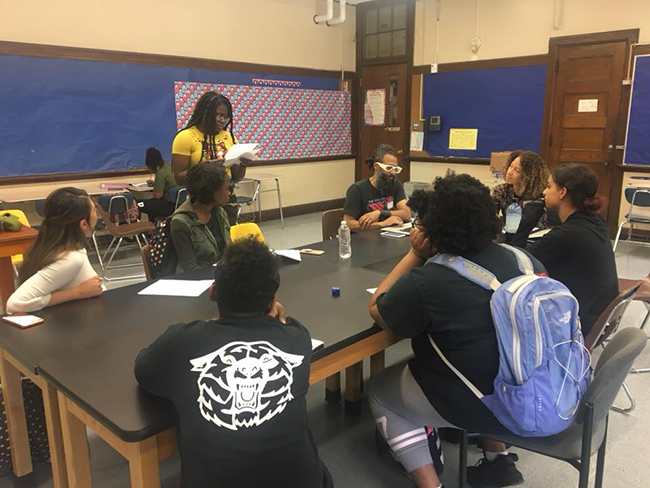 Hearing our stories inspired Shawaine, along with eight other students to participate in the first-ever teen version of a Black Stories Matter workshop culminating in a performance at the Kingston High School. Shawaine was not particularly outspoken when she showed up to her first workshop session last year but she was determined to tell her story. And tell her story she did, with a vengeance. On this afternoon nearly a year later, Shawaine strode into the library with an air of purpose. Having been through the process of finding and telling her story, she seemed to be encouraging her friends to do the same. They all took seats at the far end of the table and quickly settled in. 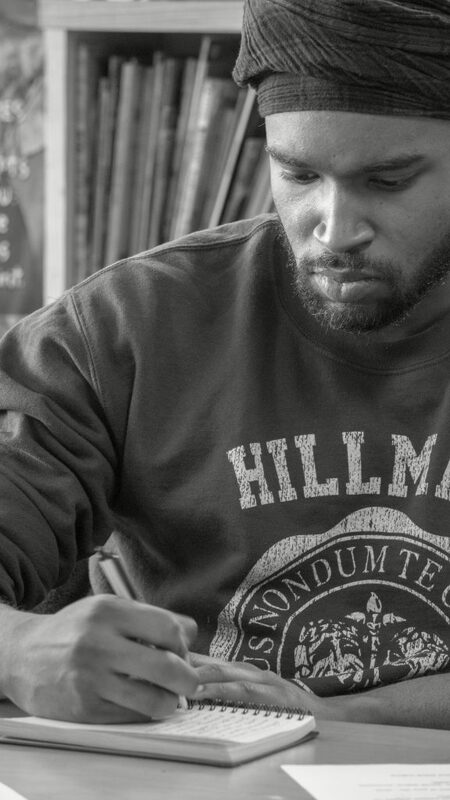 Micah outlined the idea of the workshop – that black stories come in all shapes and sizes – they are as varied and diverse as the people who embody them. “If you’re a black person writing about learning to tie your shoelaces, that’s a black story,” Micah joked. The truth underlying his joke is that we are all ready to expand beyond the ‘stock’ or expected stories of blackness that always define us in terms of struggle and oppression. It’s time to uncover the beautiful, complex and surprising counter-stories of black American creativity and resilience. And that’s what everyone at this table had come to do, explore the real stories from their lives, listen to the stories of others around the table and learn something new about their own perspective. The 14 –17 and 20-something crowd was seated to my left, with the age gradually rising into the 30’s, 40’s and beyond at the other end of the table. True inter-generational representation. How racism has affected your self-esteem, social status, physical or mental health. What you love about being black and/ or black culture. Some used the prompts and others wrote freestyle about an experience that had profoundly shaped their life. Patterns emerged from diverse stories. One young man wrote that despite his experiences of being bullied in school, he continues to value himself, knowing that he is someone who has a lot of love to give. He also affirmed his determination to sharpen his basketball game. At the other end of the table, a woman wrote about bullying that she’s experienced working in the corporate world. This kind of bullying came in more subtle forms of disrespect from colleagues that worsened as she gained greater power within the organization. Yet another participant wrote about the challenges of parenting biracial children. We had time for two rounds of writing and sharing. Three or four participants raised a hand to read something out loud during each of these segments. We reminded everyone of a TMI workshop rule: No negative preamble. This sets a tone and an understanding that we are all there, taking turns as writers and audience, to affirm, support and encourage each other in this amazing process of discovering our true stories. At one point during the workshop, looking in either direction, I felt that I was seeing a beautiful landscape of the faces and stories assembled at the table. These two hours felt like a sacred moment. It occurred to me that each person at the table had come to add their piece to a collective history that is just now beginning to be written. I thought about the experiences the Kingston High School students wrote and shared in workshop – stories of being told ‘you don’t speak black’ or ‘you don’t act black,’ stories about being judged for their hair or complexion, constantly being reminded that as a black person you are always under a critical white gaze. I remembered my amazement, realizing that in the four decades since my own teen years, racism really hasn’t changed at all. Or, maybe something is changing. When I was their age, no one asked me what it felt like growing up as a biracial person. I had no one to speak with about my experiences. 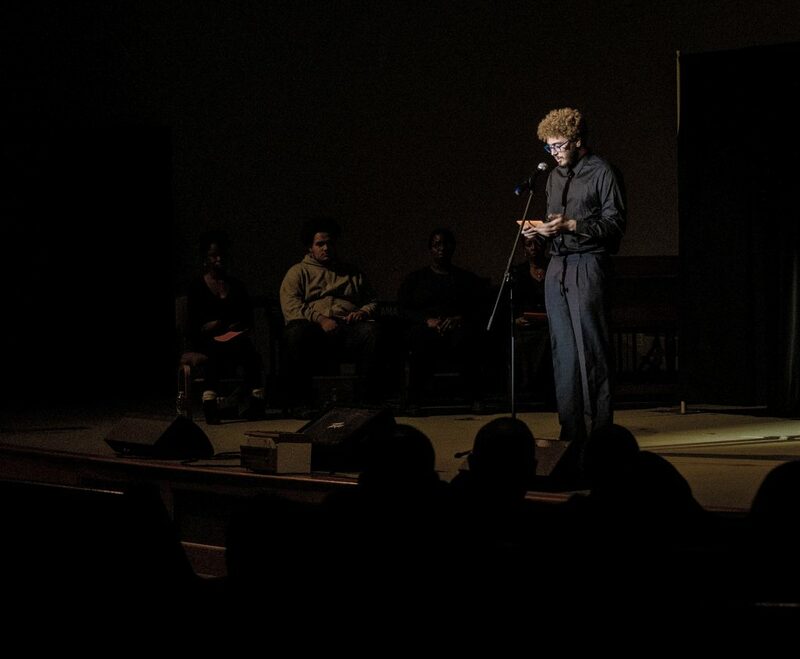 These students were not only able to articulate their stories, but they also got up on stage and told their stories. And they weren’t alone. They were part of a group of storytellers each one risking vulnerability to bring their truth to light. Something I know from my own life is that black people are a diverse & resilient people. With a little bit of space and encouragement to tell our stories, we’ll make them better, clearer and more powerful as we bring them into resonance with a collective understanding that’s emerging. In the same instant, Micah and I looked at each other with big smiles. We knew we had just found another prompt! Bring a Black Stories Matter storytelling performance to your organization, community group or home by hosting a viewing party. Fill-out our form to access our Stories from Across Generations Viewing and Discussion Guide. 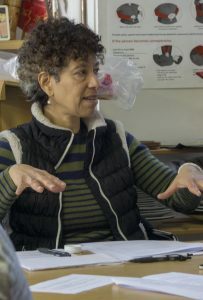 The post Black Stories Matter workshop leader Dara Lurie takes us inside an intergenerational storytelling workshop appeared first on TMI Project. Last Saturday’s first-ever intergenerational performance of Black Stories Matter was powerful and transformative. With nearly 400 audience members at The Pointe Church in Kingston, NY and over 1,000 live stream views, we are thrilled to report that we’re reaching more communities than ever with these important and timely stories. In addition, 10 groups from the Hudson Valley and around the country (National Afro-American Museum and Cultural Center in Ohio, Museum of the African Diaspora in San Francisco, Xavier University of Louisiana in New Orleans, Art Peacemakers in MA, Showing Up for Racial Justice in Eugene, OR and more) joined us by hosting live stream viewing parties! Special thanks to our workshop leaders Micah Blumenthal and Dara Lurie, our brave and bold storytellers for sharing their truths, and to Radio Kingston for making Black Stories Matter accessible to all via live stream. Bring the stories and conversation to your org, school, or party by signing up as a host. The live streamed Black Stories Matter: Stories from Across Generations performance and Q & A as well as our Viewing & Discussion Guide are available on demand. Black Stories Matter is made possible by the New York State Council on the Arts with the support of Governor Andrew M. Cuomo and the New York State Legislature. 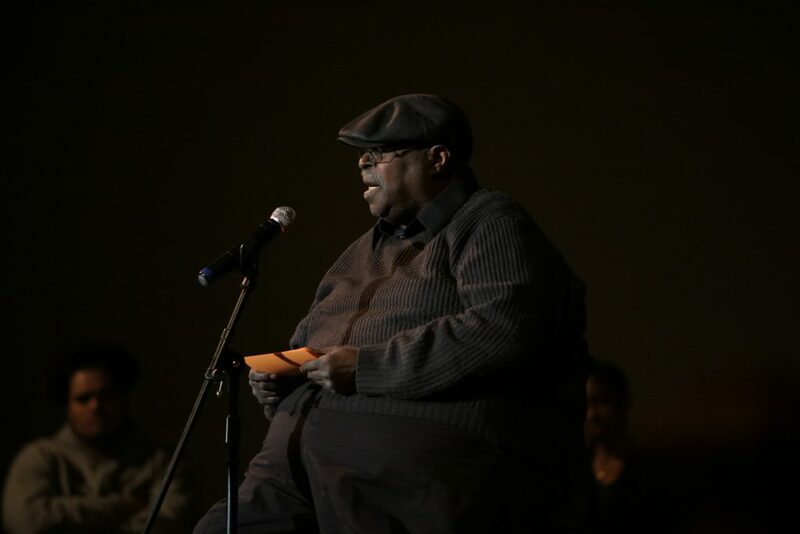 The post Black Stories Matter goes National with its First-ever Intergenerational Performance appeared first on TMI Project. The post A Conversation with TMI Project’s Black Stories Matter Workshop Leaders Micah Blumenthal and Dara Lurie appeared first on TMI Project. We’re looking at a basement. It contains all the normal basement things—tools and holiday decorations, half-empty paint cans, a kettle-style Weber grill, laundry accouterments. But it has a few abnormal touches, too. For instance, there is a talking furnace that waits with a human-like grimace at the ready, and there are three—yes, three—mannequins. The camera’s slow pan reveals one of them tucked in next to a sewing machine; the others, meanwhile, are piled up in a corner, legs and torsos severed from their pallid, plasticized busts. This basement could be yours, or mine, except it isn’t, it’s better. It’s the McCallisters’—the beloved dysfunctional family at the center of the 1990 holiday film classic Home Alone. And, unlike most of the basements of the world, it actually adds up to something. Every item in it—from the garden hoses looped around the rafters to the steam iron sitting innocently on top of the dryer—is fated for a glorious kind of use. This is the basement that our basements dream of and look up to. In Home Alone, director Chris Columbus famously gives us the ideal American home. Less famously, though, he also delivers on a fantasy about the ideal American basement. The fictional McCallister family’s stately house in the Chicago suburbs, which sold six years ago for a very real 1.5 million dollars, conceals a fantasyland of function and utility, where nothing ever gets wasted or goes to die and where buyer’s remorse is as unheard of as a Christmas without snow. We catch a glimpse of it early on in the film, when eight year-old Kevin, famously played by Macaulay Culkin, discovers that his family has flown to Paris without him and left him home alone. Kevin stumbles sleepily about the house in plaid pajamas, calling out the names of his many relations. His search eventually leads him to the basement, where he confronts an array of junk that appears nonetheless charged with meaning and with purpose. This is a movie, after all. Those mannequins (a fourth can yet be found upstairs in the master bedroom), they’re not allowed to be accidental. If we’re seeing them, then they must be destined for something bigger. Indeed, as anyone who’s ever seen Home Alone knows, they are. The mannequins resurface a few scenes later, during Kevin’s staged holiday house party. In an effort to deflect the crooks who would break in and steal from his family’s vast trove of possessions, Kevin puts the mannequins to work—along with other household items—to make the house appear occupied. Two dummies are brought to life in the form card players; another is perched atop a record player and gently revolves to the tune of Brenda Lee’s “Rockin’ Around the Christmas Tree”; a cardboard cutout of Michael Jordan, meanwhile, traverses the room with the help of a miniature train set. But it is Kevin who is pulling the strings, Kevin who, in god-like fashion, has granted temporary life to the contents of his family’s basement. Compelled by the ropes that bind them to him, these inanimate objects wriggle and spin. They try for life, for a version of what Kevin has lost in being forgotten by his family. They try to be that family. I return to Home Alone every year at about this time, and I am always jealous of the McCallisters’ basement, of all the ways that it means. Perhaps this is because I stand at only a slight distance away from the practice known as hoarding. There are hoarders in my family, as there are in most American families today, so I am no stranger to its logic. I have seen how, through hoarding, individual lives become despotically governed and then held hostage by someone else’s fantasies about what stuff means—what they insist it’s worth, what they think it represents, and what should be done with it. In Home Alone, Kevin lives the modern hoarder’s Chekhovian fantasy when he puts his family’s stockpile to splendid use. Their conventionally bourgeois hoard becomes an arsenal as, in the final scenes of the film, he subjects the Wet Bandits to one homemade obstacle after another. The steam iron descends through a dumbwaiter and hits the character Marv in the face; the half-empty paint cans form a gauntlet leading up to the second floor; the Christmas tree decorations are placed beneath an open window, in anticipation of Marv’s bare feet; and, perhaps most sinister of all, the Weber grill’s electric charcoal starter is affixed to the handle of the McCallisters’ front door. When the character Harry attempts to enter that way, the heated metal leaves an Mseared into the flesh of his hand. Previously, Kevin demonstrated his prowess for converting objects into subjects, but here he succeeds in doing the opposite: he effectively brands Harry with the McCallisters’ logo, turning him into a possession and making him forever part of their hoard. The McCallisters aren’t hoarders, though, and this is partly why we love them. Through their stuff, they lend credence to the aspirational logic of hoarding, to the thoughts of what if that nag at so many of us and cause us to stockpile and accrue, especially around the holidays. And their home isn’t a hoarder’s home: it’s bright and clean, ruthlessly laid out in a green-and-red color scheme, and well organized. There is no obsessive compulsiveness on display here, no towering stacks of old newspapers, no rotting food, no carcasses of dead cats. There’s only the story and only those things that are 100% indispensable to it. In fact, in Home Alone, the material hoard takes precedent over its homonymic cousin, the human horde. The McCallisters’ home is amply peopled, and by a family that is so large that its individual components appear somewhat redundant. This is why Kevin gets left behind: amidst the festive fray of the holidays, the act of taking stock itself becomes impossible. In his wanderings about the empty rooms of his family’s home, human abundance gets swapped for darkness and vacuity. These two words sound the same but they do not mean the same, the movie reminds us, and we lose much when confuse them, when we become blinded by accumulation. For those of us—and I suspect there are many—who lie awake at night contemplating the number of dumpsters that will be someday called upon in order to rid us of the hoards that we didn’t ask for but are obligated to inherit, the McCallisters’ basement is a refuge. It is a vision of well-ordered, functional accumulation, where every castoff object has a calling and a future. It is not our world, but rather a revised version of the one we have been forced to occupy. It is what I want for my own basement and for the basements of my friends and family members: utility, worth, and immortality. I can’t give them these things, so instead I give them Christmas presents and help to fill up the painful spaces and corners of their lives where the absence of these qualities is most apparent. —Sheila Liming is Assistant Professor of English at the University of North Dakota. Her book about the writer Edith Wharton’s library is forthcoming from the University of Minnesota Press, while another book on the cultural history of office spaces is forthcoming from Bloomsbury through its Object Lessons series. Find her on Twitter: @seeshespeak.